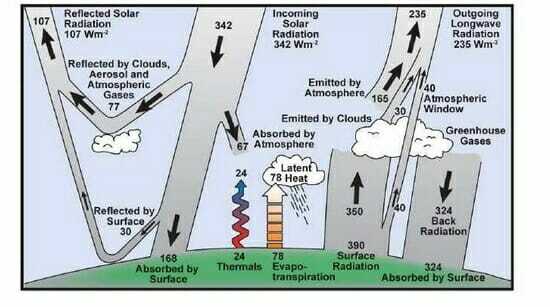 All of the computer models of the climate have adopted the flat earth theory of the earth’s energy, as portrayed in Kiehl J. T. and K. E. Trenberth 1997. Earth’s Annual Global Mean Energy Budget. Bull. Am. Met. Soc. 78 197-208. The attached graph is in all of the Reports of the Intergovernmental Panel on Climate change, and it is fundamental to all their activities. It ought to be obvious. The earth does actually rotate. The sun does not shine at night. The temperature is not constant. Every part of the earth has a different energy input from its output. It is worth noting that Vincent Gray is no stranger to claiming that those who accept that our greenhouse gas emissions are warming the planet are rejecting basic fundamentals of modern science. In 2008 he claimed that “Environmentalism is just the latest attempt to find a substitute for the theory of evolution”. 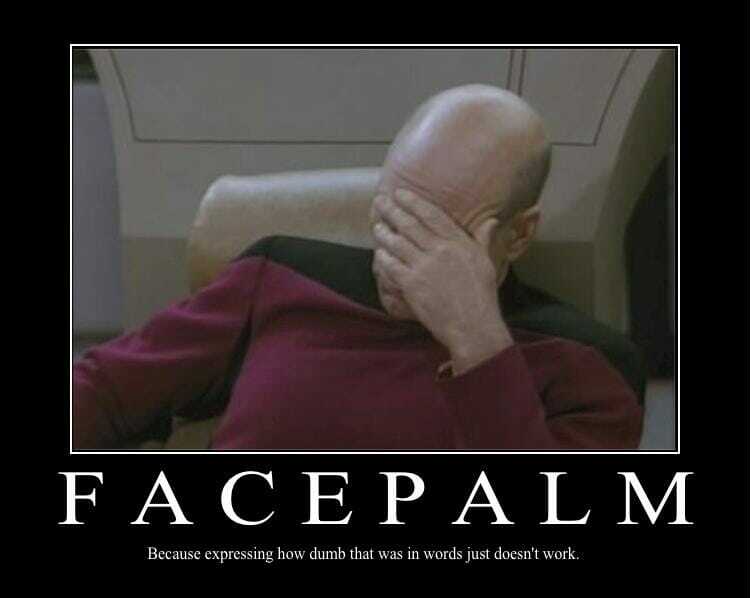 Vincent Gray is not someone to be taken seriously. There is a correct mathematical treatment. It would involve the division of the earth’s surface into a large number of tiny increments, and the energy input and output calculated for each one, using the changes in all the factors involved. There would then have to be a gigantic integration of all these results to give a complete energy budget for the earth. Only when this is done and repeated over a long period will it be possible to find the influence of increases in greenhouse gases. Despite Gray’s assertions that such data do not exist, they certainly do. In fact Gray what gray is describing is a climate model, and precisely as Gray claims this has helped us to “find the influence of increases in greenhouse gases”. Of course despite all of this rubbish, and as is typical in the denial echo chamber, Gray’s claims were subjected to absolutely no critical thought (why would they, they reach the correct conclusion), and more lies were added to make the story seem more plausible. After all headlines that read ‘Crank says greenhouse theory is dead”’ don’t have the effect deniers want. So they lie, and call Vincent Gray an IPCC scientist (see the image to the right, taken from Morano’s climate depot). “Expert reviewer for the IPCC” doesn’t mean that they asked him to review material — all it means is that he asked to see the draft report. The only real requirement to be a reviewer is to sign an agreement not to publicly comment on the draft. And just like that a new denier meme is born. 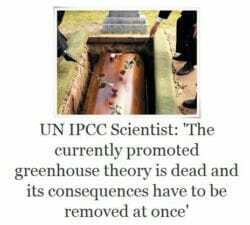 An actual IPCC scientist scientist has said that the greenhouse theory is dead, so obviously it must be true and we can avoid all that difficult critical thinking which has a tendency to shatter our preconceived notions. Do deniers really think that thousands of scientists from all around think that ‘earth can be considered to be flat, that the sun shines all day and all night with equal intensity, and that the temperature of the earth’s surface is constant”. If so they are even more detached from reality than I thought. Do deniers even understand the fact that the greenhouse theory has implications that go well beyond climate change? Do they realize that this line of attack requires a great deal of rather basic physics to be wrong? It doesn’t matter to them, as long as the right conclusions are reached. And that is why we call them deniers. Does this bozo realize that the earth does indeed rotate? Of course he does, and since the IPCC doesn’t then obviously it is wrong… and yet people take him seriously. Basic physics, you mean like when scientists claim that the Antarctic will be completely melted in under 50 years when they know that 99.999% of the Antarctic continent never gets above zero? They don’t even broach the subject of glacial sublimation. That must be the kind of physics you’re referring to. Those deniers, what a bunch of goons. Got a source for that claim? I’ve never heard anyone claim anything remotely close to that.